Please read and enjoy our current and past newsletters available for download below. Learn more about our success stories of projects in Ethiopia, rural Nigeria, and Uganda. Learn more about the history of the Missionaries of Africa as we look back at 2018 and our 150th anniversary. Learn more as we remember two of our former development office staff members and read an update on our project to purchase beds in Uganda. Learn more about two of our latest projects in Ghana and Tanzania. Learn more about Fr. Paul Reilly MAfr's journey from California to Ethopia. 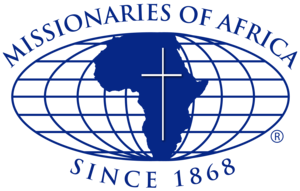 Learn more about the history of the Missionaries of Africa as we celebrate our 150th anniversary. Learn about Mara Children’s Center in Nairobi whose motto is "Education for Ability." Learn more about the Spirit of Christmas in Sudan! Learn more about the works of our missionaries in Africa including the installation of solar panels and water tanks in Togo. Read about the business development of women on the Ivory Coast, and how your donations helped to feed the schoolchilren of the Mill Hill Education Centre. You can also learn how to roll over a charitable IRA. Read about the African Easter celebrations, the construction of a new borehole well, and also how to roll over a charitable IRA. Catch up on the many goings-on of our missionaries throughout Africa this Winter season. Read about the construction of a community health center, the harvesting of rain water, and more. Learn more about the works of our missionaries in Africa, including efforts to drill a water hole for clean water, creation of a medical dispensary for the health and safety of women and children, and the addition of computers and printers to a school. This newsletter is a special edition featuring a letter from Khartoum written by Father Paul Hannon. Read about his experience of hope over 25 years of service. Read about what the Easter seasons means to those around the world! Also, catch up on our Statement of Accountability for the year.